People often relate the term healthy hair to hair density, which is absolutely incorrect. Healthy hair means hair that is free of all hair problems such as dandruff, split ends, hair fall, roughness and dullness. According to the common opinion of several dermatologists rain, sun, wind and pollution cause our scalp to become dirty and may result in scalp infections without proper care. There are innumerable tips from people when it comes to hair problems, starting with our parents to our colleagues, each one has a different opinion, a different remedy. But randomly listening to their advice is worthless and a complete waste of time. To solve a problem we need to find the cause of it, otherwise, any solution would be beating around the bush. This article is not only about how to maintain your hair, but it also deals with the scientific reasons behind the problems and the myths that have been believed without proof. 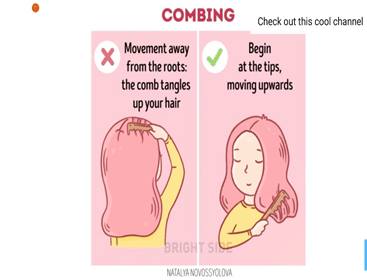 Tip 1: How to Comb your Hair? 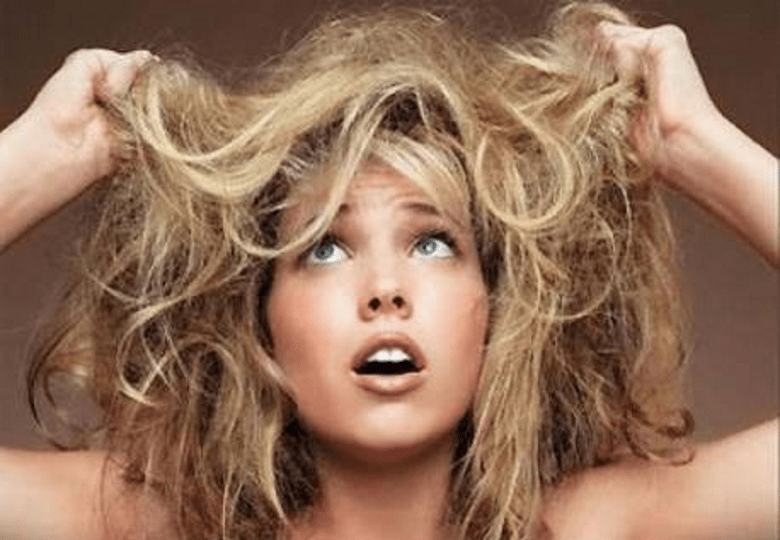 Dry hair becomes frizzy and it may cause hair strands to get entangled. To prevent too many strands from breaking, apply a spray before combing and always start brushing your hair from the tips and then move towards the roots. This method will not only minimize hair fall but also prevent them from getting damaged. After a shower, wait for the hair to dry before combing because wet hair is vulnerable. Also, comb your hair while keeping your head in a lowered position as it helps in the blood circulation process. Extra tips for the kind of comb to be used: Always use a coarse tooth comb to untangle your hair rather than a massaging comb. Wash the comb once a week, and make sure it is changed regularly. This is one of the biggest myths about hair problems, that brushing your hair 100 times a day will increase the hair strength. Actually, too much combing causes hair damage; the reason being the oil or sebum that is present on the scalp gets distributed all over the hair making the hair look oily and greasy. Also, it increases the frequency of the sebum secretion from the scalp resulting in a bigger problem. So brush your hair only when necessary, not to fulfil your brush count but only to untangle it. 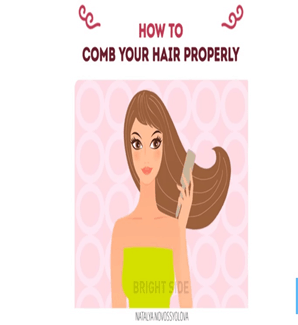 Tip 3: How to condition your hair? Most of us are unaware of the fact that it is the end of the hair that needs conditioning, not the scalp. Conditioner should never be applied at the roots, it is the dead cells and frizzy ends that need it. Conditioning the hair will seal the moisture which is essential to keep the hair smooth. Tip 4: How to shampoo your hair? This tip is very important for people with oily scalp. Use the right amount of shampoo as per your hair density and length. Too much of shampoo or it’s frequent use leads to increased sebum secretion from the scalp and can cause dandruff. There is a myth about shampoos: that your hair gets used to the shampoo and thus will not cause any harm. Hair, like nails, are dead cells and they cannot get addicted to anything, so I would suggest to rather use a shampoo that suits your scalp condition than the one that is used since childhood. To get all your hair care products personally delivered at your doorsteps, make use of Amazon coupons and cashback offers to get branded products at discounted prices. Not only does it save your time and effort, but it also helps you get a detailed description of the products you want depending on your scalp condition with additional customer reviews about the product. The ends of the hair become rough over time, and proper trimming prevents split ends. There is a myth in this case as well, people say the frequency of cutting your hair helps it grow faster.. The hair grows from the root and not the end, and hair density depends on the number of hair follicles which is a genetic trait, not something we can change by ourselves. So irrespective of the number of times you go bald or cut your hair, the hair density remains the same. Always use a heat protecting spray before straightening, ironing or curling your hair. Too much heat is not good for the hair, and so it is imperative that you wash your hair with cold water. Also, whenever you go for highlighting your hair, make sure you protect your hair with the right shampoo and conditioner. An excess amount of oil on the scalp can create a friendly environment for the fungus that causes scalp infections. Also, an excess amount of water standing on the hair strands after a shower causes loss of keratin which flows away with the un-rinsed water molecules. Before following any of the above-mentioned tips, I would suggest a full body check-up. Hair fall is not only caused by scalp problems, there may be various other reasons such as stress or deficiency of essential minerals such as iron, protein and vitamins. It may also be a result of hormonal changes during adolescence, pregnancy or other such circumstances. Over-intake of fatty or fried foods can also increase the sebum secretion in the scalp, for which you need to change your diet to fresh fruits and vegetables. So from today onwards get rid of the myths, and follow the tips which are scientifically proven to increase the health of your hair not it’s density. Healthy hair will not just keep you away from infections but give you a gorgeous look which you have been craving for since ages and make your personality the talk of the show. Follow these tips, and you might just be the next Rapunzel!! !